Increasingly the work of organized crime, container theft has become a fast-growing problem that is costing the global scrap industry millions of dollars every year. In 2012, the BIR world recycling organization and the International Maritime Bureau joined forces in a bid to combat theft and tackle its consequences for recyclers and traders; to date, this has led to, at most, 15 reported incidents. Clearly, this is a concerning statistic given that experts consider the sharing of information to be a crucial weapon in this fight. The thieves are getting smarter and smarter. And they are getting more violent too, according to FreightWatch International, a global logistics security services company whose aim is to reduce risks associated with container theft. In its 2013 analysis of cargo theft trends, FreightWatch describes a case in which two gangs frequently targeted shipments near Bari in southern Italy by pulling up in a car next to the targeted truck and pointing guns at the driver to force him to pull over. They then held the driver captive until the contents were safely unloaded, using a powerful GPS jammer to ensure the cargo was not tracked. And this is only one example from a long list of worrying crimes highlighted by FreightWatch. Cargo and container theft is a major, ever growing problem, it has also been concluded by the anti-crime unit of the International Chamber of Commerce (ICC). The London-based organization reckons that, worldwide, there are 500 million container movements per year. It is difficult to quantify the threat but ‘anecdotal evidence suggests that container crime in general is widespread and cargo losses due to theft and fraud, throughout the supply chain, have been estimated to reach an amount of up to US$ 200 billion’, states ICC crime expert Dave Cuckney. Unsurprisingly, metal theft – with copper the main target – is experiencing particularly strong growth and is increasingly becoming the province of organized crime. All over the world, but particularly in Europe, it is believed that mafia like organizations are heavily involved. 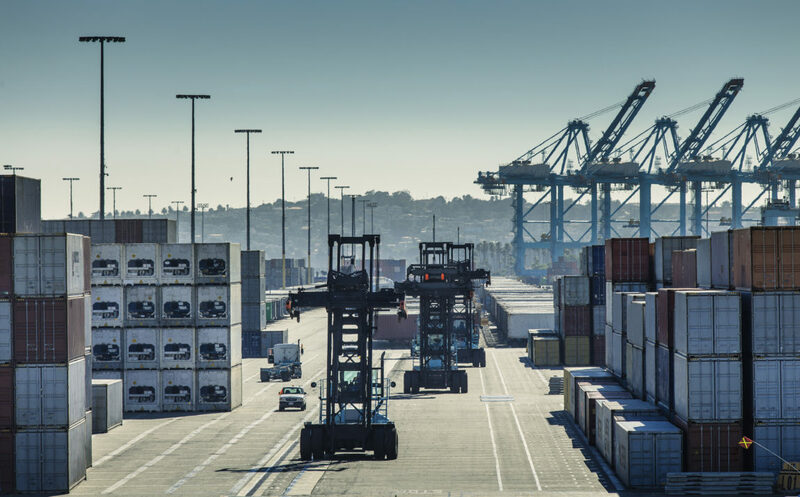 Globally over the past two years, theft of scrap metals from containers has increased by 300- 400%, according to Ray Fernandez of US-based Sealock Security Systems. His company has witnessed an increase in customer numbers over the past 12 months, which Fernandez attributes to ‘theft becoming a bigger and bigger concern for the industry’. Finding recyclers who are willing to speak openly about their ‘worst nightmare’ experience is not easy. Michael Nedvidek of US-based Schnitzer Steel Industries, which exports around 1000 containers of non-ferrous scrap per month, has told Recycling International that ‘for us, it is indeed a big problem’, but without going into further detail. Clearly, becoming a target for container thieves has a big impact, costing recyclers, traders and insurance companies a lot of money. To illustrate the point, the following story was told to Recycling International by a major non-ferrous recycler which prefers to maintain its anonymity. Over a long period of time, the firm in question had been frequently confronted with ‘major shortages’ on container shipments. A company representative explains: ‘Shipping the cargo to various Asian ports included numerous occasions on which the weight of the container at a destination port was lower than the recorded weight when first loaded for transportation. Sometimes, the shrinkage would be 0.2 tonnes and sometimes even a few tonnes. Containers would arrive at their final destination with different seals and the tape labels having come off. We have strong indications that, in one instance, the doors to the container were themselves removed, keeping the seals intact.’ According to the firm, the losses were escalating to ‘as much as US$ 5000 to US$ 7000’ per incident. ‘But apart from the money lost, the way it all happened complicated the claims process, degraded the overall value of the loads moved and diminished our reputation with customers, the representative points out. Ray Fernandez of Sealock Security Systems is better informed than most about the latest tricks used by criminals to open up containers assumed to be sealed safely and securely. As he told this year’s BIR World Convention in Miami, there are ‘eight common ways of gaining entry into a container in less than 35 seconds’. Global container security has been built around the bolt seal and yet this device can be ‘bypassed’, ‘doctored’ and ‘manipulated’ in a variety of ways, he noted. Adopting a proactive approach means more than making sure you use smart and safe locks and seals to protect your cargo, Fernandez points out. ‘Those are pure basics,’ he insists. ‘There’s a need for such instruments as much as there’s a need for electricity. You can have the best locks available and still not be well-protected. According to the security expert, putting a complete stop to cargo theft is likely ‘impossible’ but it is absolutely crucial for recyclers and traders to elevate their logistics needs to a higher level. ‘This means improving your security protocol,’ he says. ‘You cannot 100% prevent a container load from being stolen, but you can organize your security in order to make claim processes run more smoothly, prevent your reputation as a reliable recycler or trader being damaged, and continue building normal, professional relationships with your customers. In other words, ensure you have physical and indicative measures in place that will work not only to protect your cargo shipments while in transit but also allow you the ability to recognize that a theft has occurred, assign liability, file a claim with the appropriate party and ultimately provide you with the ability to recuperate your losses.’ Perhaps unsurprisingly, most thefts occur in so-called ports of transition. ‘Cargo at rest is cargo at risk,’ Fernandez states. ‘Clearly, every time a container changes hands, there’s increased risk of its load being stolen.’ According to figures from the ICC’s anti-crime unit, Mexico, Brazil, South Africa and China are hotspots when it comes to cargo theft, followed by the USA, India and Russia. In Europe, France and Italy are identified as the ‘highest risk’ countries. The question is how the scrap industry can be more effective in combating container theft. Cross-border sharing of information is crucial, experts insist. In an effort to reduce losses from container shipments, the BIR world recycling organization subscribed to the services of the London-based International Maritime Bureau (IMB) back in 2012. The IMB is one of three organizations that form the Commercial Crime Services, the anti-crime unit of the ICC. To date, however, this co-operative effort has resulted in, at most, 15 reported incidents, it was confirmed by BIR’s director general Alexandre Delacoux during Metal Bulletin’s recent Copper Recycling Conference in Stockholm. Speaking at the same event, ICC’s crime expert Dave Cuckney claimed that the problem of container theft is ‘hugely under-reported’ and that there has been ‘a lack of initiatives to combat it’. He used the platform offered by the conference to call on recyclers and traders to share more information in order to sharpen the anti-crime offensive. Both BIR and IMB have been regularly encouraging companies to report losses to the IMB in order to ‘help define the scale of the problem and identify possible trends’. Meanwhile, a partnership between leading German companies and recyclers has proved to be a successful tool in the fight against metal theft. Thirteen companies and business associations have joined forces in the partnership, among them the confederation of German steel recyclers (BDSV), the German federal association for secondary raw materials and waste management (BVSE), and the association of German metal traders (VDM). The companies are now aiming to expand their partnership internationally and to develop reporting procedures across borders; Poland and Austria have been the first to join the initiative. Cargo theft rates in Europe have increased by 24% since 2011 and have also grown in Asia, according to logistics security services company FreightWatch International. The greatest risk of cargo theft today exists in Brazil, Mexico and South Africa, FreightWatch concludes in its latest trends report, while cargo theft rates in North and Latin America have remained on a par with those of previous years. For the past decade, more than 10,000 cargo theft incidents have been reported each year in Brazil; in 2012, nearly 6800 incidents were reported in São Paulo alone. In Mexico, more than 6000 cargo theft incidents were reported last year, the majority of them involving truck hijackings; incidents tended to be concentrated in several of Mexico’s largest cities because they represent major industrial and distribution centers. And in South Africa, more than 800 truck hijackings were reported. Know the carrier with whom you are dealing. Make sure you have photographic evidence of the load, locks and seals. Use direct routes wherever possible. Always check on the existence of a vessel. Be aware of the ‘warning signals’, for example: the use of names resembling well-known businesses; pressure for rapid acceptance of offers; abnormal payment conditions; demands for payment of advance fees; and requests for payment by letter of credit in favor of a party other than the seller. But even when all possible precautions have been taken, criminals can still manage to pursue their illegal activities – even after they have been convicted. Cuckney recalls a recent case in which a criminal succeeded in continuing to perpetrate fraudulent practices from his prison cell ‘thanks to the fact that they allowed him access to the internet’.